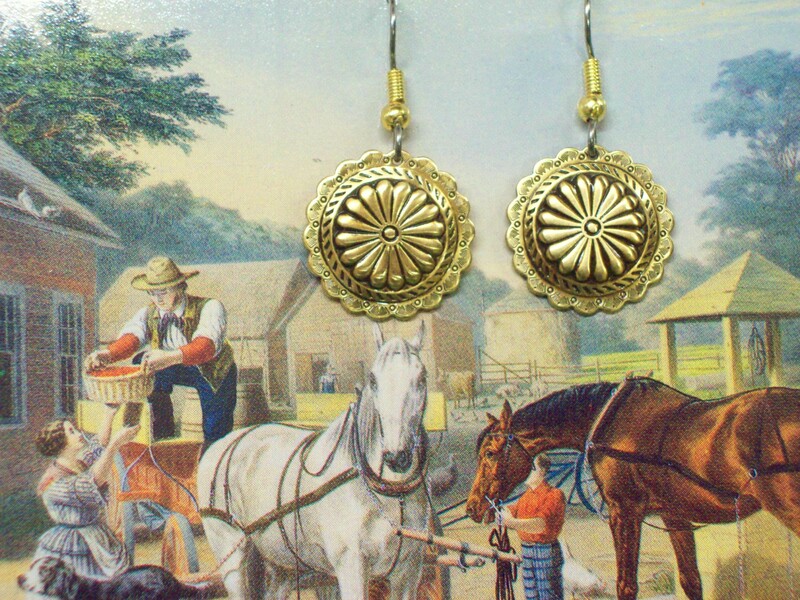 Round Dangle Concho Earrings. Earring set with sun, floral and flower inspired images and metal work. 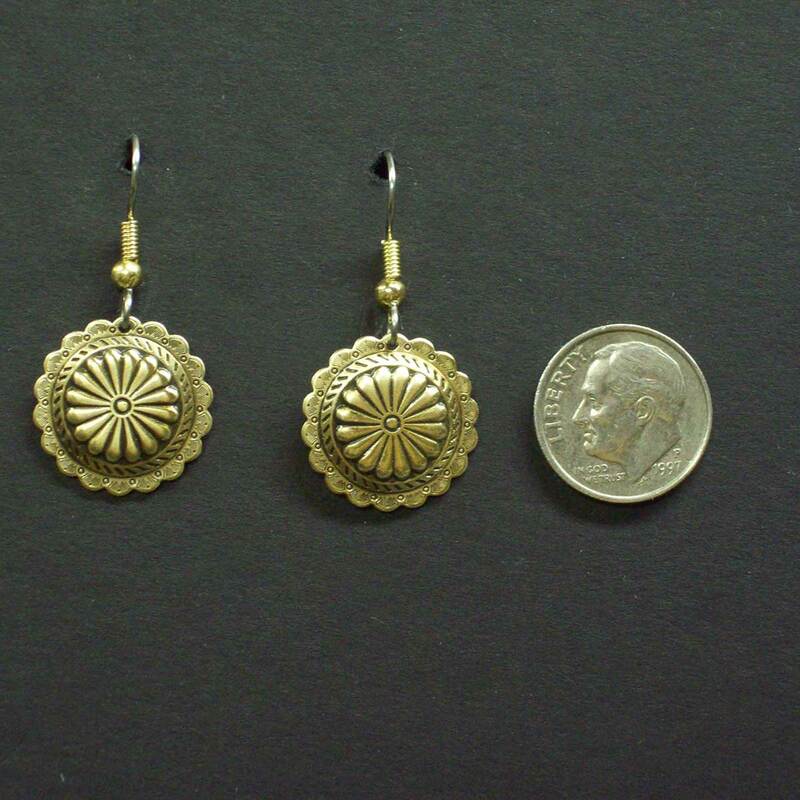 A Southwestern inspired earring that is decorative and flattering.